Posted On Sat, 15 Jul 2017 00:08:35 +0000. Filed in ramblings. By Vaibhav Bhandari. Cyber Defenders student program is an 8 to 10-week paid summer internship and in 2017 is expanding to south bay through a partnership with San Jose Evergreen Community College District’s Silicon Valley Engineering Technology Pathways grant which includes nine community college partners. 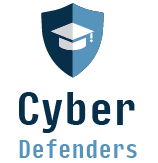 The Cyber Defenders program offers a compelling introduction to the field of Cyber Security and prepares students with practical skills to be workforce ready providing a viable pipeline for your organization. As a cohort group, during the internship program students receive practical experience in computer systems, network operations, computer security, information protection and cyber policy. The program consists of projects, classes, seminars, presentations, meetings, a poster session, a cyber policy debate and a capture the flag team challenge.